I found a couple cracked bricks in my 2015 Star Wars advent calendar AT-AT walker which has brought up a hypothetical question I was hoping one of our ambassadors could present to the Lego CEE Team for a "official" response. I know that Lego provides a replacement parts service for broken Lego bricks. But to what extent is this warranty? Is Lego guaranteed for life? Or is it guaranteed at all, and the replacement service is "good will" only? If I purchased and built a Lego set then put it on display. Then once per year visually inspected it for structurally compromised (aka cracked) bricks. Is there a point in which I could no longer contact Lego customer service to request replacement parts? Is a cracked part a manufacturing defect, or is there a life expectancy where eventually a cracked brick is considered "worn out" due to normal use? Based on the response to the above questions, would it make a difference if the set/part in question was purchased used? Or was from a Pick-a-brick wall? Or if the "cracked" bricks were in a collection of other parts and the original set/age was unknown? Very good questions. I have started a topic on the LAN to get a response from the LARP team. It would be interesting to know if there is a defined period when bricks are replaced by Lego. I have issues with the 1X1 cheese slopes cracking. Ah yes, I knew the team had a new name, and LARP it is. Thanks Richard! I'm curious to hear what you find out. When I built my tower bridge I had several bricks crack right at installation. mostly tan cheese slopes. I think 1x1's are most prone to this type of failure due to the bad ratio of thickness (i.e. large stiffness) to length over which stretching must be accommodated (i.e. large strain). This combination results in large stresses that, together with material flaws present in the injection molded parts, will lead to failure upon cycling (even for as low as one cycle). this should rarely be a problem on larger parts (or on the long side of 1x()'s). On my 1970's lego I have many plates with snapped-off ends. Would be nice if those would still be replaced, but that's rather doubtful. Here are the responses that I received concerning replacement of broken or missing parts. Cracked bricks - Replacement Parts Question? Passing on a good series of questions from our former ambassador. I found a couple cracked bricks in my 2015 Star Wars advent calendar AT-AT walker which has brought up a hypothetical question I was hoping one of our ambassadors could present to the Lego AR&P Team for a "official" response. Richard, you answered it yourself: LEGO will replace all elements in "normal" quantities, even more so if there is evidence like picture or they know that part could have history of cracking (they do follow this and make proper improvements). Basically call consumer service and they will help if they can. Bumping post. The replacement of broken parts can be searched by set or by part.. My thought is that Lego will replace the element(s) as long as it is in production and within reason. The age of set does not matter. 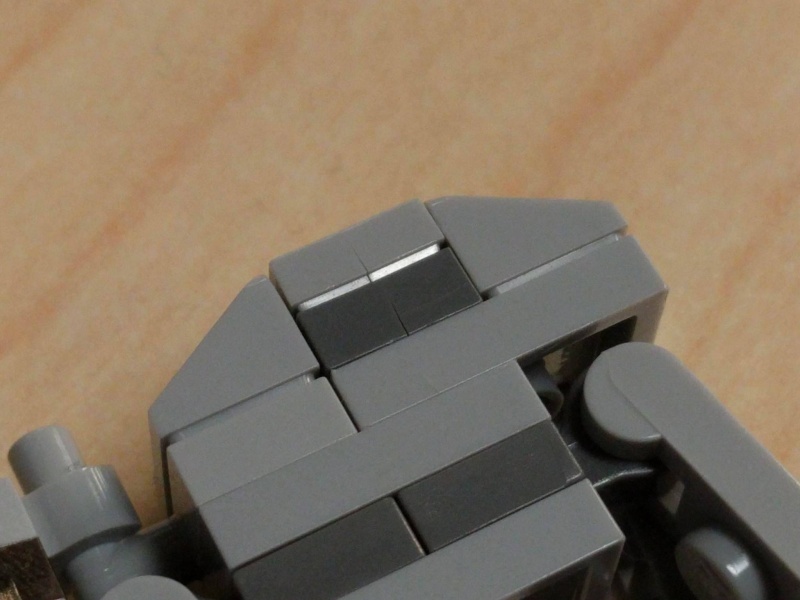 If there are mass amounts of a part element being replaced or a long history of part requests by the same customer may cause Lego replacement parts to question whether it would be a free replacement. I assume the actual policy on this is internal and may not be shared with the public.